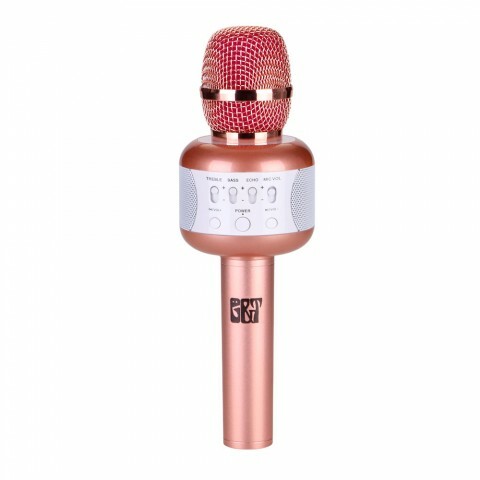 ET E106 Bluetooth Microphone adopts high quality to ensure up-scale texture and perfect tone quality. 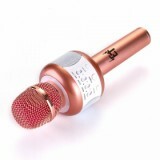 You will enjoy singing with it. ET E106 Bluetooth Microphone comes with the most portable design. 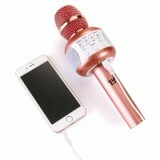 It is a wireless microphone with a portable mini home party KTV for music playing and singing anytime and anywhere. 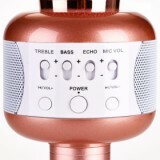 Its remarkable echo and perfect sound quality won't let you down! 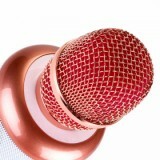 I love this mic because of its size color and style its work well I recommend it. I’m only giving this product a 5 star because I bought this as a gift for my mom and she loves it, but now she wont stop using it. She even started using it to talk normally. i record high school choir and drama plays, ballet and dance (Nutcracker, etc) and local theater productions of plays, kids drama schools and musicals, then convert to DVDs for the cast and as fund raisers for the school and playhouse. 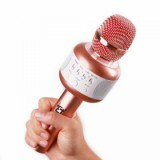 I clip the mic to an overhead stage light or a tripod near the stage.